Haiti is back in the news, following reports of vote rigging in its recent presidential elections. As the population struggles with further instability, part-time PhD fellow Corinne Bossé shares her research on this troubled Caribbean nation — research focusing on diaspora engagement, higher education and economic development. Years after the earthquake of 2010, Haiti’s infrastructure remains crippled; it also has to cope with a massive outflow of highly educated people who would otherwise rebuild the country. So your PhD on institutional development and capacity building in the educational sector in Haiti is, policy-wise, a very interesting project. What are the main aims of your study? My PhD research explores the dynamics of higher education development and diaspora engagement in the context of a low income country beset by environmental and institutional fragility. In the case of Haiti, a post-disaster assessment estimated that 87% of higher education institutions were destroyed or affected by the 12 January 2010 earthquake. This situation, coupled with the huge loss of human capital, has exacerbated longstanding systemic issues like the high rate of ‘brain drain’ – especially in higher education. 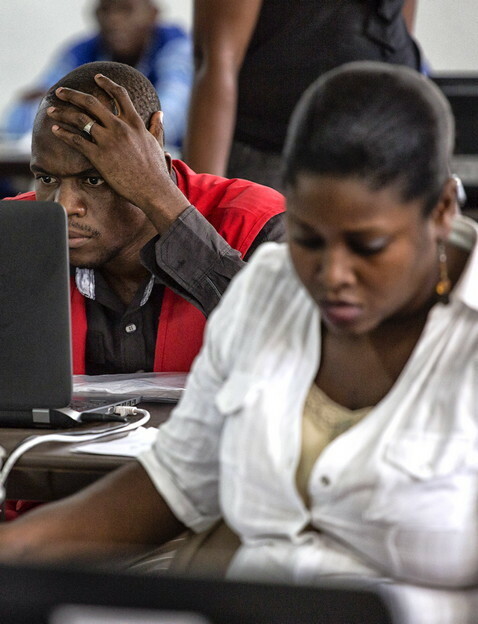 Around 84 % of university educated Haitians leave for better opportunities in higher income countries, according to a recent World Bank report. Given the critical mass of highly educated people living outside their country of origin – and who are still supporting it with economic and social remittances – there are growing calls for improved diaspora engagement. This could boost the local capacities of the least economically developed countries such as Haiti. Curiously, there are still gaps in the international development literature in relation to both the sectors and group of people that have been the focus and locus of attention. The higher education sector (HE) has received little coverage compared to the health, business and basic education sectors over the past few decades. Paradoxically, there is also a range of diaspora efforts and initiatives in the higher education sector that have not been widely researched and reported in the academic literature. 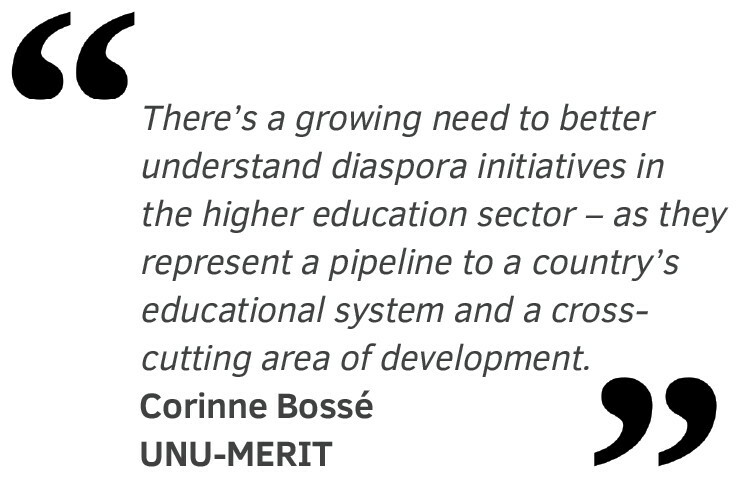 There’s a growing need to better understand diaspora initiatives in the higher education sector – as they represent a pipeline to a country’s educational system and a cross-cutting area of development. My qualitative study aims to deepen our understanding of this under-researched phenomenon through: i) critically examining threats, challenges, opportunities facilitating and impeding diaspora engagement for HE development in the Haitian context; ii) uncovering engagement strategies used for HE development by highly skilled members of the Haitian diaspora; and iii) exploring the emerging institutional arrangements in the post-disaster context. Hence, the study will help to fill the conceptual and empirical gaps in the literature, as well as clarifying approaches to better engage diaspora in the HE sector in development of low income countries grappling with similar urgent issues. As a part-time ‘GPAC²’ PhD fellow, you combine your work with your studies. As programme manager in a higher education institution in Canada, you are clearly informed about the practice of higher education management. 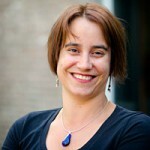 How do you translate those practical skills into feasible research projects? Doctoral research requires a steep learning curve, and one of the practical and transferable skills is the ability to conduct needs assessments in terms of scope, relevance and feasibility. In my case, it translated into selecting a relevant research topic from a familiar disciplinary domain (i.e. Higher Education) rooted in a ‘real world’ challenge that would sustain my motivation throughout the doctoral research journey. Then, guided in part by GPAC² feedback sessions, came the process of narrowing down the scope of the research by zeroing on problematic gaps emerging in the academic literature. Subsequently, I determined the type of inquiry I wanted to do based on the kind of research question that I wanted to address. I also weighed up the skillsets needed to carry out the research. Planning the logistical side of PhD research provides a reality check on what can reasonably be achieved by a sole researcher. Another practical skill boils down to ‘chunking’ – in other words, the educational practice of breaking down learning materials and tasks into small accessible chunks. While keeping a big picture view of my research, I am applying this practice by conducting smaller sections of my research activities, i.e. literature review, interviewing, transcribing, analysing data, piloting and conducting small scale exploratory research, etc. In any case, conducting research is a dynamic process. As I am constantly reminded, pacing and managing energy levels, as well as allocating time for incubating periods, are necessary to gain analytical insights. In order to move the PhD forward, you were granted a sabbatical. How did you convince your employer to support you, and what are your concrete plans for the sabbatical? From the start of my PhD application for the GPAC² programme, I laid the groundwork by seeking the support my unit director. I clearly stated in writing that I would take a one-year sabbatical toward the end of my PhD journey in order to advance and complete my research. This professional development objective was reiterated during each yearly assessment signed by my unit director. Those regular reminders helped secure a final approval when the time actually came for my research leave. I want to express my heartfelt gratitude to a supervisor who believes in empowering professionals and women in higher education despite the university budget cuts! Being a Visiting Scholar at the Center for International Higher Education (CIHE) provides me with an institutional base and a reflective space to further advance my doctoral research. During my stay, I will be conducting qualitative interview research with a network of highly educated Haitian-American professionals and scholars who have, historically, concentrated in Boston and northeastern USA. I was recently a guest speaker to faculty and students on the topic of ‘Higher Education Development in Haiti: Struggles and Aspirations’. I have also been invited to give a lecture and Q&A in a graduate course taught by CIHE Director, Dr. Hans de Wit (another Dutch connection!). These speaking engagements address another one of my key goals: to exchange with the international community of top scholars in the field of higher education, while receiving feedback with a global perspective on my ongoing PhD research.